According to a recent study, Facebook users’ ratings of hospitals may be an accurate representation of the quality of care provided. Health IT Outcomes reported hospital rankings varied greatly online, depending upon the source. In fact, some hospitals that ranked at the top on one site were in the bottom on others. Now, a study published by the Journal of General Internal Medicine suggests accurate rankings may be available, of all places, on Facebook. According to Fierce Health IT, researchers compared the Facebook ratings of 4,800 hospitals with their 30-day readmission rates from Medicaid’s Hospital Compare website. Adjustments were made for hospital size and type. Researchers discovered hospitals with higher ratings on the social media website also had lower readmission rates. Hospitals with the highest readmission rates received the fewest stars from Facebook users. 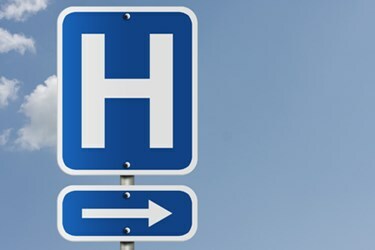 iHealth Beat reports 93 percent of low-readmission hospitals had Facebook pages. Eighty-two percent of high-readmission hospitals had Facebook pages. Of all the hospital pages, more than 80 percent offered the ability leave a review. Researchers noted that hospital ratings were not affected by how long the page had been operational, the number of “likes” a page had, or the number of times users had visited the hospital. “While we can’t say conclusively that social media ratings are fully representative of the actual quality of care, this research adds support to the idea that social media has quantitative value in assessing the areas of patient satisfaction – something we are hoping to study next – and other quality outcomes,” says Glover.